I couldn't think of a name for this cake. I've made it many different ways...usually with as much chocolate as I can. As luck would have it, I didn't have any chocolate cake mixes or chocolate pudding. So, I thought I would take my recipe and tweak it a little. I named the finished product Marilyn because it is a blond bombshell. The cake is so moist; almost unbelievably so; plus it has chocolate chips for a little extra flavor. I served it with vanilla bean ice cream and hot fudge. You need to try this. No, really. It will knock your socks off. It only takes a few simple ingredients. One yellow cake mix, one small box of vanilla pudding, sour cream, sugar, eggs, cooking oil, water and semi-sweet chocolate chips. I only had a large box of pudding so I measured 3.9 ounces, which is the amount of a small box. 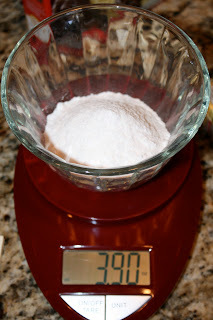 Mix all of your dry ingredients and mix with a wire whisk. Set aside. Next, mix your wet ingredients thoroughly. Then, add the dry ingredients until well blended. Finally, add semi-sweet chocolate chips. Pour into your greased and floured bunt pan. Oh my word, I just thought of My Big Fat Greek Wedding when I said bunt. If you want to know what I'm talking about, click here. Golden brown straight from the oven. Ohh, it smells so good. Let it sit for about 10 minutes before turning it over on a wire cooling rack. Oops, I couldn't resist a little taste. Enjoy your date with Marilyn! Grease and flour bunt cake pan (I use Baker's Joy). Mix dry ingredients and set aside. Mix wet ingredients well. 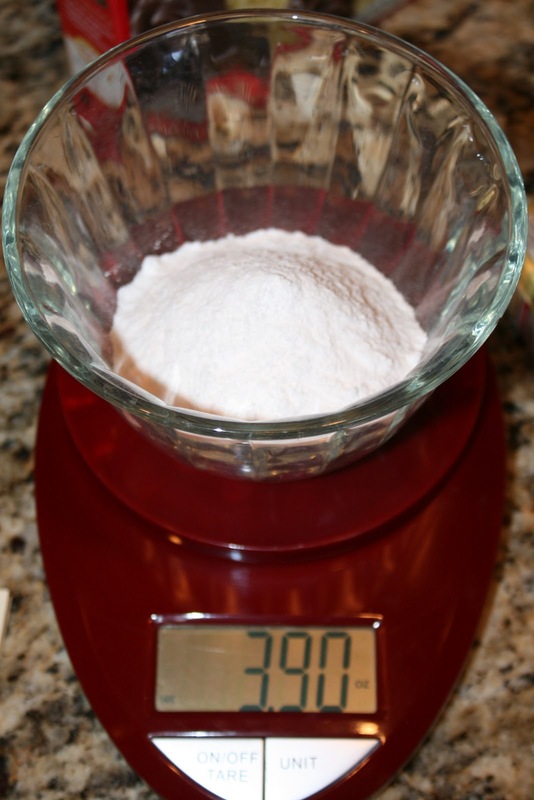 Add dry ingredients and mix until well blended. Mix in chocolate chips. Pour into prepared pan. Bake 350 degrees for 1 hour. Let cool 10 minutes before turning over on wire rack. When cool, sprinkle with powdered sugar. 0 Response to "Marilyn Cake"